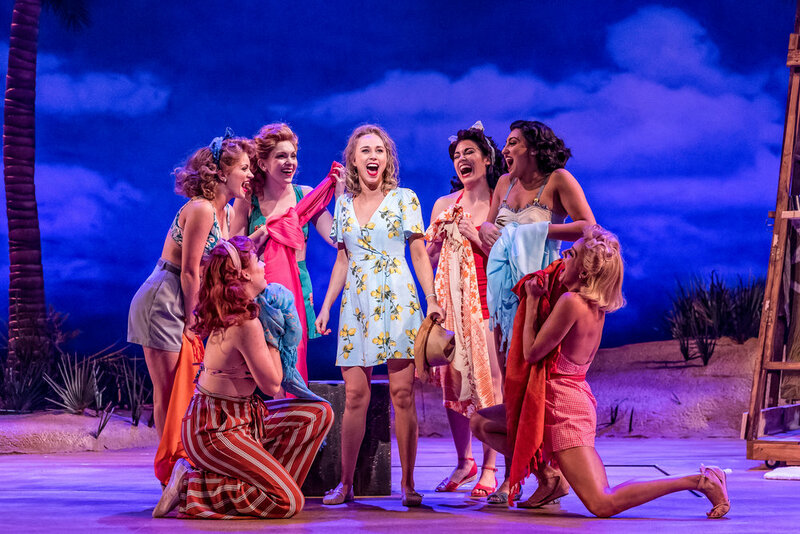 'SOUTH PACIFIC' – BRAWNY, BOISTEROUS AND BEAUTIFUL! 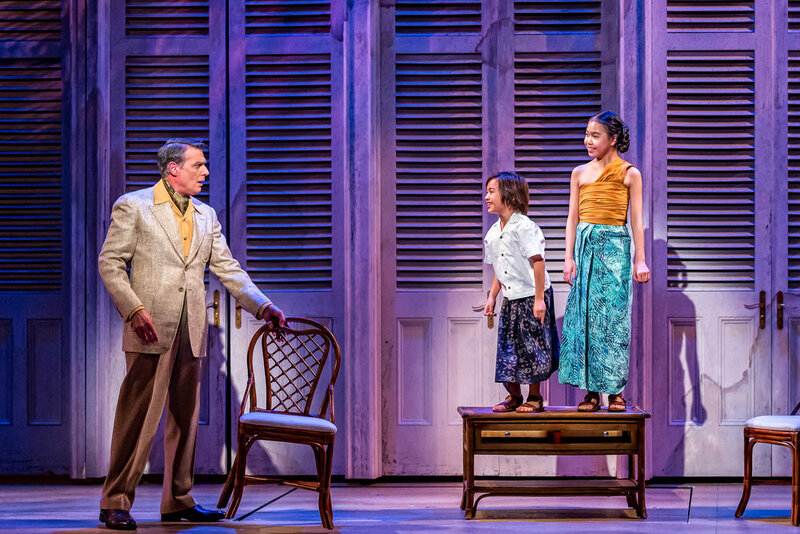 A visual stunner … There is a brilliant simplicity to the Drury Lane’s lofty new production of Rodgers & Hammerstein’s classic SOUTH PACIFIC. Director Victor Malana Maog and his creative team have delivered a visual stunner, assembling an extraordinary cast – led by the commanding performances of Tony Award nominees Robert Cucciolli and Samantha Hill – while perfectly navigating the delicate divide of the themes of prejudice and racism to make a powerhouse evening of entertainment. Drury Lane's SOUTH PACIFIC is brawny, boisterous and beautiful! Who’s who … You may need to know that Emile de Becque(Cucciolli) is convinced that Ensign Nellie Forbush(Hill) is the woman of his dreams when he meets her during naval operations on a remote island in the South Pacific. It is 1944 and Nellie and the nurses keep time with the SeaBees, the engineering arm of the Navy, led in rousing spirit by Luther Billis(Matt Crowle) an operator who is competing for the local business with Bloody Mary(Yvonne Strumecki) a native of Bali Hai, the mysterious and forbidden island nearby. Enter Lt. Joseph Cable(Austin Colby) mix in some intrigue, adventure and suspense, and you have the makings of a pair of star-crossed love stories. What stands out … Musical Director Roberta Duchak and Conductor Christopher Sargent have created an exhilarating musical experience. It helps to have the exceptional talents of Cuciolli and Hill at the center of a professional cast. What is striking, however, is that every transitional change of set(Scott Davis), lighting(Yael Lebetzky), costumes(Olivera Gajic) and sound(Ray Nardelli) are perfectly woven together with the choreography(Otis Sallid) to create a series of simple, but dramatically effective tableaus. What to watch and wait for … the classics: “Some Enchanted Evening”, “Bali Hai”, “I’m Gonna Wash That Man Right Outa My Hair” and “This Nearly Was Mine” … touching moments: “Younger Than Springtime”, ”You’ve Got To Be Carefully Taught” and tons of fun: “There Is Nothing Like A Dame, “ and “Honey Bun”. Timely topics … There is exceptional depth in the material and Maog’s production of SOUTH PACIFIC broadens our understanding of timely topics. So, beyond the enjoyment of a classic score and the terrific performances, this production ventures to a place where we can consider how our lives have been changed and enriched. The takeaway … Look no further than the lyrics of “You’ve Got to Be Carefully Taught” and it is clear that Rodgers & Hammerstein knew that no one is born with prejudice, bias and fear, a message that it is perhaps even more relevant and important to us now than ever before. This a memorable experience on every level. 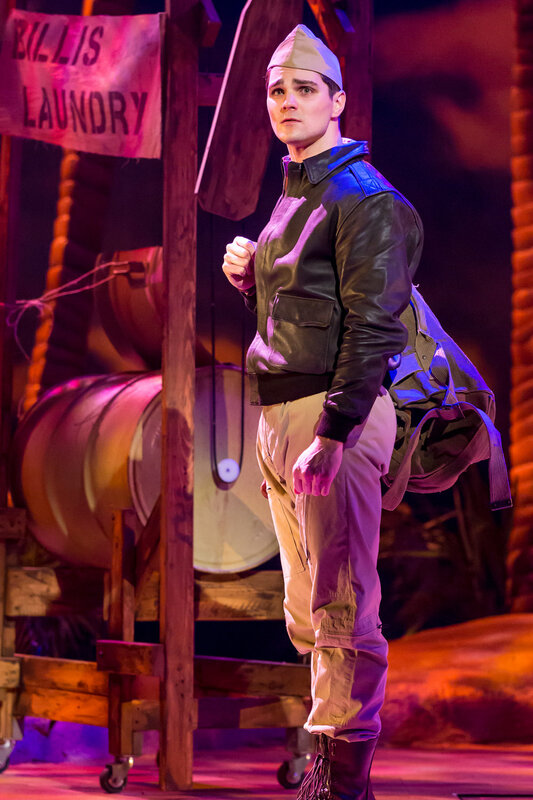 Don’t miss it – SOUTH PACIFIC is high-flying fun!